This is a brand new, limited edition, Coca-Cola Zero aluminum bottle which has been released to commemorate the 125th Anniversary of Coca-Cola in Germany. As part of the print there are "scratches" in the highlighted part of the bottle, directly among the lettering "Coca Cola Zero." This shall simulate a brushed black aluminum. Printed scratches are gray and polished, real one silver and aluminum harsh. 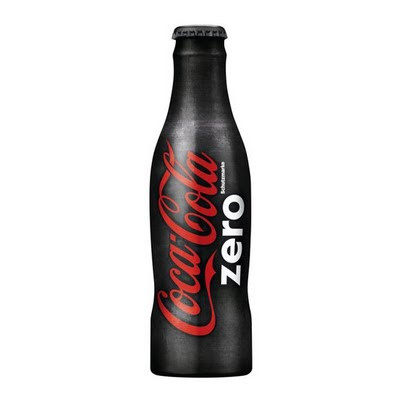 Coca-Cola Zero added since July 2006, the low-calorie or sugar-free range of products from Coca-Cola in Germany. 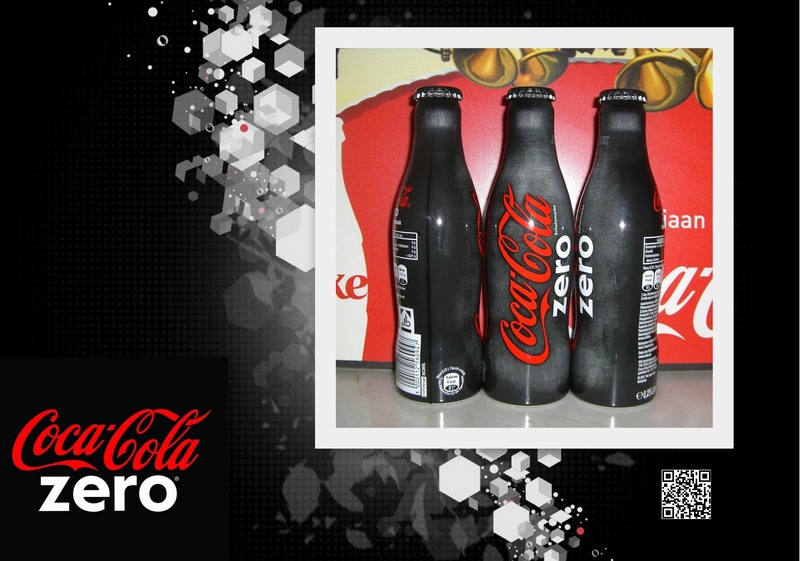 Coca-Cola Zero is a refreshing drink that provides real taste without sugar. Thanks to special combinations of flavors, the taste of Coca-Cola Zero is very close to the classic Coke. Nutrition at a glance for all products made ​​by Coca-Cola, we introduce the data on amount of energy, the main nutrients, proteins, carbohydrates, shares in sugar, fats, saturated fatty acids and the values ​​for dietary fiber and sodium on. 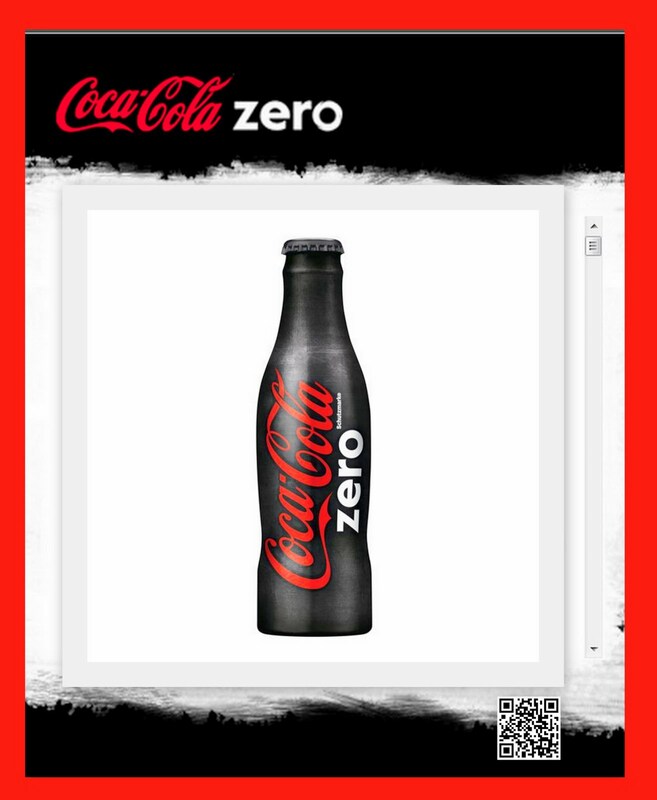 Vivid graphics on labels to inform consumers also about how put a lot of calories and the quantities of sugar, fat, saturated fat and sodium in a glass (250 ml equals 1 serving) of his favorite beverage. This eliminates long conversions. Especially handy: The label also shows at a glance the level of these nutrients at the recommended daily intake. To engage consumers and create a unique experience that delivers the brand message, “Do what makes you feel good.” Our target audience is young people with busy lives, young couples who are usually busy raising children and in competitive careers, who can’t find the opportunity to do something for themselves and relax. We created a special offer, giving them an opportunity to “Do what makes you feel good.” In return for ten bottle caps and $20, they were invited to a magical vacation of one night in the desert, at a custom-built oasis, that offered luxurious desert hospitality, meals prepared by a chef, night-time acoustic performances by leading artists, treatments at the Diet Coca-Cola Spa, special workshops such as yoga and Tai Chi, a bonfire, a drum circle and a night-time party. In addition, “Like machines” that connected visitors to Facebook using RFID bracelets including transmitters were installed at each compound to upload personal status updates. The “Five Stars and the Moon” desert oasis, offered the consumers 24-hours outdoors, where they could take a break from their daily routine and connect to things that make them feel good. The entire oasis resort spread over 5 cycles of 24 hours each. 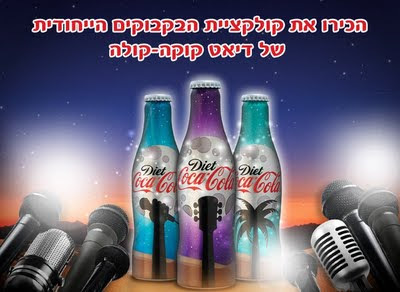 It gave the consumers an emotional experience in the spirit of Diet Coca-Cola, demonstrating the brand's values: to be free, to be spontaneous, to take a break and enjoy life more, with a variety of experiences and pleasures full of style, chic, and relaxation. Within a few days after enrollment opened, all places in the Diet Coca-Cola Oasis were fully booked for the entire period. From the first night it operated, web pages were filled with pictures and status updates showing the experience and conveying the serenity and quiet of the desert. Tens of thousands of young people who wanted to do what makes them feel good with Diet Coca-Cola but remained on the waiting list, were able to enjoy the experience via the photos and updates their friends uploaded using the Coca-Cola Like machine.